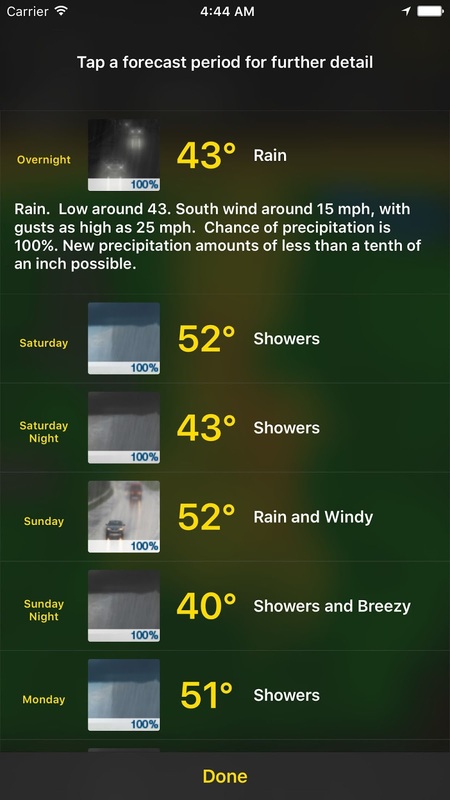 MWN Blog: Meet StormWatch+, your NEW national weather app! As many of our loyal readers know, a couple years ago we "un-bundled" the StormWatch+ severe weather alerting technology from the MemphisWeather.net brand and created a national iOS app called, aptly, StormWatch+. 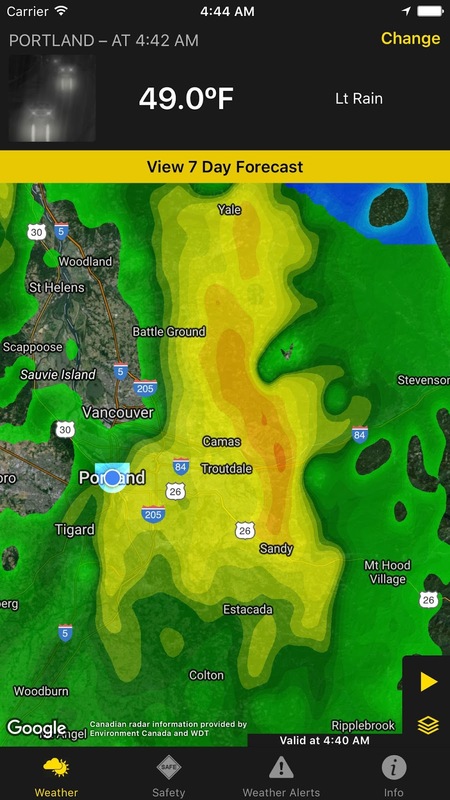 The centerpiece of the app was the push notification alerts, but it also included a basic radar display, local conditions, and the NWS forecast for the user's current location. I'm proud to announce that the StormWatch+ app has been re-released as version 3.0 with an entirely redesigned interface for displaying both local and national weather information! It features a brand new radar display that is fast, smooth, and stretches from coast to coast, PLUS includes overlays like storm tracks, watches/warnings, severe weather outlooks from the Storm Prediction Center, and even global (yes, global!) satellite. Zoom out from street level to a nationwide view instantly, drop in satellite imagery and storm tracks, then hit loop. Within seconds you'll have the national picture in a smooth animation! Not only did we start from scratch on the graphics, but you can now get current conditions and the National Weather Service pinpoint forecast for anywhere in the nation (not just your current location) by entering a city, ST or zip code in the location box. And we don't use computer model data that changes hourly and can't be trusted past three days for our forecasts - no way! Ask any meteorologist and they'll tell you that models are for use in preparing a forecast, not the forecast itself! By using the NWS point forecasts, you get "human-powered" weather the way MWN has always delivered it. In addition, if you have locations across the U.S. set in the alert settings screen, two taps will take you straight to the current conditions, forecast, and radar for those locations! In sum, StormWatch+ is now ready to compete with the "big boys" of the weather app world and their huge corporate backing. 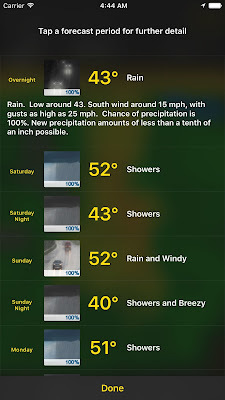 My goal is to see StormWatch+ become MANY people's go-to weather app in the coming months! 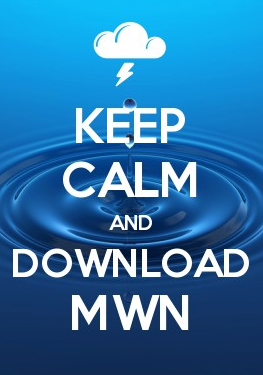 Now, I'm certainly not asking you to abandon your MWN app or the StormWatch+ alerting within it. There's no need to buy the alert feature in both apps (unless you want to program 6 locations for alerts!). However, if you want a free nationwide app to use for forecasts, radar, etc. while traveling, or just to check out the weather where grandma lives, I highly recommend you give StormWatch+ a try! It's free, why not?! Then, let us know how it compares to the "nationally-known" apps from household names we all recognize. We would love some great reviews in the App Store! Certainly you may send your suggestions directly to us and they will be considered for future releases. And of course, if you have friends or family living somewhere other than the Memphis area, and they have an iPhone or iPad, tell them to download the StormWatch+ app from the App Store! They'll get the proven reliability of our mobile weather alerting no matter where they are, as well as enjoy high fidelity, reliable weather information nationwide, backed by the same source you trust for Memphis weather. 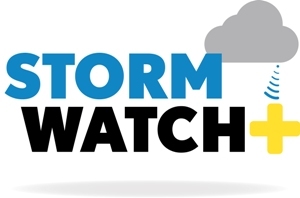 Learn more about StormWatch+ and download it from our website: www.StormWatchPlus.com.